Counseling isn’t just for people who are in imminent danger of divorce. You can and should also use it as a preventative measure so you don’t get that far. 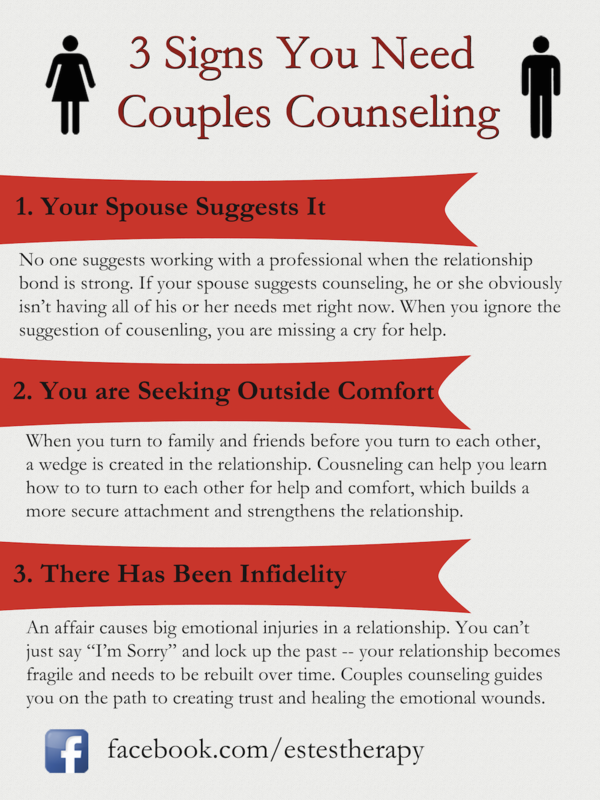 With these helpful hints for signs you need couples counseling, you can better look for red flags that you should consider calling a marriage and family therapist, or other relationship professional. No one suggests working with a professional when the relationship bond is strong. If your spouse suggests counseling, he or she obviously isn’t having all of his or her needs met right now. When you ignore the suggestion of counseling, you are missing a cry for help. If your spouse mentions calling a relationship counselor, take it as a sign that you should both put in some work to get back on track. When you turn to family and friends before you turn to each other, you are creating a wedge in the relationship. Counseling can help you learn how to turn to each other for help and comfort, which builds a more secure attachment and strengthens the relationship. A secure bond is absolutely essential to any strong marriage or relationship. 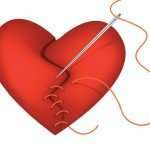 An affair causes big emotional injuries in a relationship. You can’t just say “I’m Sorry” and lock up the past — your relationship becomes fragile and needs to be rebuilt over time. Couples counseling guides you on the path to creating trust and healing emotional wounds. Both partners will have work to do after an infidelity, whether it’s a single event or a long term affair, to built back trust and the ability to be vulnerable with each other.